Like the grassroots instigators of John the Baptist and Jesus, I wait in my digital desert contemplating the perfect lifestyle demanded by God so that when the time comes, I will be ready to carry it out with ardent zeal. Until then, my blog is my camel’s hair cassock, my facebook account is my feast of locusts and my 140 character limit tweets are my wild honey. Through these tools and through my daily routine, I grow in my relationship with Christ by recognizing His presence often. Editor’s note: People tend to forget that Jesus personally reached only an infinitesimal portion of the earth’s population during his short, earthly existence … never traveling very far, and never writing more than a few letters in the sand. Yet Jesus saved countless generations. 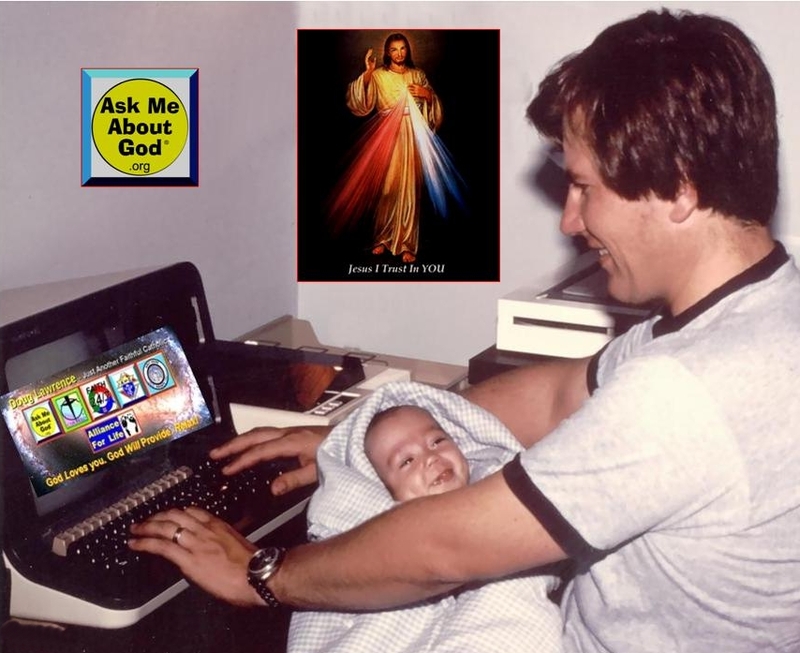 Today’s Catholic bloggers have an opportunity to minister to people all around the globe, preaching the very same Gospel, announcing the very same good news, 24/7 and 365. Only God knows how all this will turn out, in the end … but isn’t that what faith is all about? Baltimore Catholic School to dedicate new Bill and Camille Cosby Community Center. A historic Baltimore Catholic school will name its community center in honor of Bill and Camille Cosby, the biggest donors in the school’s 184-year history and fierce champions of education, the school announced Friday. St. Frances Academy, which serves 162 primarily low-income high school students, will host the comedian, his wife and their relatives in a ceremony at the St. Frances Community Center on April 20. Isaac is 12 years old and has been receiving treatment for almost three years. However, his response to treatment has been very poor and the physicians at Texas Children’s Hospital told them that Isaac had, at the most, three more months to live. Nahed was crying and begging God for mercy. She wrote a note to God telling Him that the only hope she had left for Isaac to be cured was a miracle from Heaven. She asked Father Ishak to place her note in the alter under the chalice. “On Monday, November 11, 1991, Isaac became very sick. 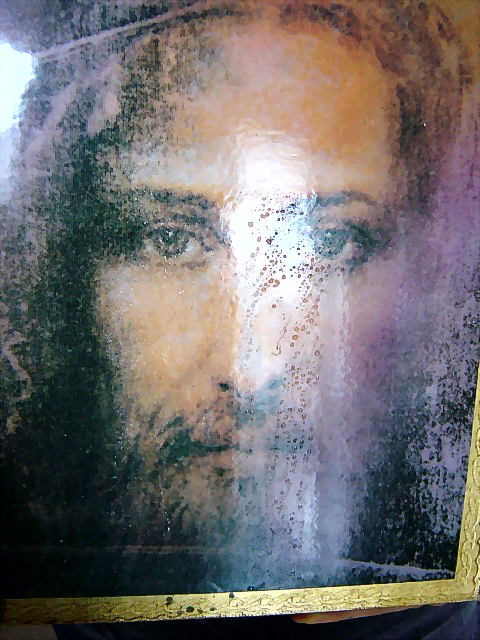 While lying in his parent’s bed, about 2:30 p.m., mumbling some prayers and looking to a portrait of Jesus Christ hanging on the Eastern wall of the bedroom, he saw the eyes of Jesus in the picture moving and the figure of Jesus protruding out. He screamed, calling for his mother. Nahed came running and examined the picture. There was an oily liquid shedding like tears from the eyes of Jesus. Editor’s note: This is one of the best Jesus pictures I’ve ever seen. It looks real! Anna Maria College announced that it had withdrawn an invitation to Victoria Reggie Kennedy, the widow of the late Senator Edward Kennedy, “with deep regret.” The statement said that the school’s administration continued to think that the invitation had been appropriate in light of Victoria Kennedy’s work on issues such as gun control and children’s safety. Editor’s note: The “administration” was obviously wrong. Way to go, Bishop McManus! Fidel and Joseph: Aging revolutionaries take a moment to “kick back” and “talk shop”. Editor’s note: Approximately 50 years ago, Fidel Castro led the bloody, Cuban revolution while Father Joseph Ratzinger did his part in the Catholic revolution, commonly known as Vatican II. Both have been intimately involved in “propping up” their respective works, ever since. If Barack Obama was “punished” with a son, would he have left him alone in a room to die? Seen on the web: Catholic – Orthodox – or other? Years ago, some of my best friends left the Church to follow, what they believed to be, a more “biblical” path. Their incessant character assassinations of Catholicism led me to investigate their claims. I’m not a scholar or theologian. This may seem simplistic to some, but in the end, it was the mere existence of Eastern Orthodoxy that provided, what to me at least, was the greatest worldly proof that Catholicism is the one, true Church instituted by Jesus Christ. I began by temporarily removing the Catholic Church from the equation and looking only at the two schisms, one in 1054 and the other in 1520, and examined their fruits in the modern age. They are profoundly different. On the one hand, you’ve got one multinational Church, united under one Patriarch, that has remained unified and consistent in its doctrine, liturgy and traditions for nearly a millennium. On the other hand, the Protestant Reformers couldn’t agree from day one. There were Radical Reformers (Calvinists and the like) and Magisterial Reformers (Lutherans and Anglicans). All of which have splintered into the 25,000+ denominations we have today. All of these schismatics are Christians and none of them are Catholic, so why has one remained unified and consistent, while the others have fractured and splintered into so many varied parts as to be nearly unrecognizable as one religion? What is it that the Orthodox Church has that the Reformers do not? I think the answer lies in the Apostolic priesthood. Because the Orthodox retained a valid, Apostolic priesthood and all seven Sacraments, as well as a devotion to Mary, they had the perpetual protection of the Holy Spirit to keep them from chaos, confusion and division. Without that divine protection, I don’t think it would have been possible for them to last a century, let alone a millennium. A thousand years of consistency is just not possible for humanity alone. We are not even consistent in our interpretation of the US Constitution after two hundred years. If I had any useful math skills, I’d try to calculate the odds. Two separate Churches agree on 99% of their doctrines then go their separate ways. After 50 generations apart, they come together in 1965 to discover that the only doctrinal difference they have is the very same 1% that they had a thousand years before. How does that happen, when Calvinists couldn’t last one generation, and Pentecostals can’t even do it on the same day in two churches a mile apart from each other? In the end, I was left with, not 25,000 denominations to choose from, but two. Since Jesus clearly gave authority to Peter and not to Andrew, the choice was obvious. The current custodian of the keys to heaven is Pope Benedict XVI.